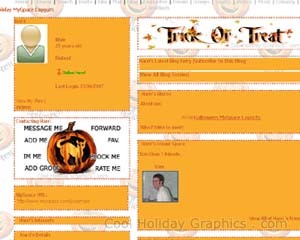 Free Happy Halloween MySpace Layouts Codes. 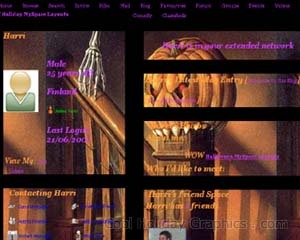 Halloween Layouts for MySpace. MySpace Halloween Layouts. Copy and Paste the Halloween MySpace layout code into the "About Me" box. 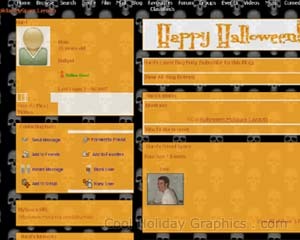 Trick or treat MySpace layout with Jack O lantern. Red skulls and bat layout for MySpace.